Wilkinson's provide a rapid and professional service that enables my projects to continue without delay and without all of the bureaucracy and costs of using the Council. Wilkinson's are also knowledgeable and reasonable and understand the fast paced and adaptable nature of the business, which helps to keep builders and clients happy. Wilkinson Construction Consultants always provide an efficient service with a can do attitude. They understand our business well and ensure that the service they provide second to none. We are proud to be part of the Theo Paphitis SBS Network . Managing Director Geoff Wilkinson say's "It is great to have support from Theo because our business is niche and most people still don't realise that they can use our services rather than the Local Council for Building Control Approvals. 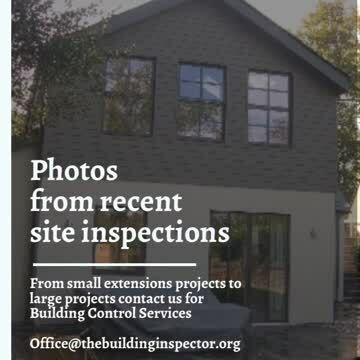 People often think we are just a subcontractor to the Council and don't realise we are a complete alternative and are licensed to issue the Approvals making us the actual decision makers. By using our services you still get the same plan and site checking offered by the local authority, but without the bureaucracy associated with the public sector. We also find that people mistakenly think that because they don't need Planning Permission they don't need Building Regs approval either and end up with problems when they come to sell. Even minor building work such as removing a chimney, installing a toilet under the stairs, or putting up or taking down walls in their homes or workplaces can need approval.